Home » Lifestyle » Southgate’s Waistcoat Spells Sartorial Sports? You definitely wouldn’t associate the FIFA world cup with fine tailoring but England manager Gareth Southgate seems to have inspired some dandy flair among the young and sportif. Clothing chain Marks & Spencer, official suit supplier to the England team since 2007, has said that demand for waistcoats has risen 35% thanks to what they say is “the Gareth Southgate effect”. The line of suits on general sale are made of merino wool woven by the Alfred Brown mill in Yorkshire which also supplied the fabric for England’s 2014 World Cup suits, and for the Team GB uniform for the 2012 London Olympics. The new trend echoes the “Wiggins effect” that saw a razor-sharp rise in men cultivating sideburns in the wake of the mod-styled Bradley Wiggin’s Tour de France victory in 2012. 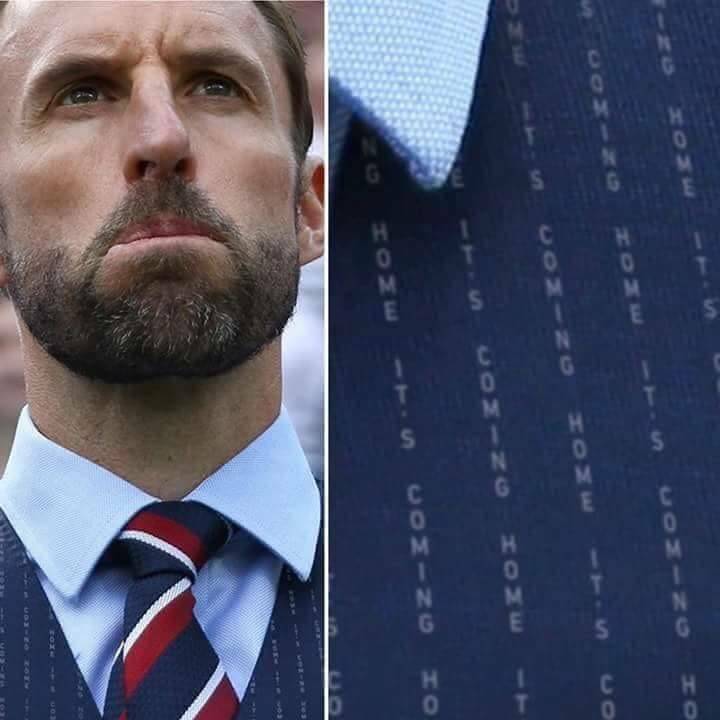 While the football manager in the heat of the game may not have been the ultimate beacon of sartorial elegance, fans quickly began circulating images that had added an unusual pinstripe to the design. 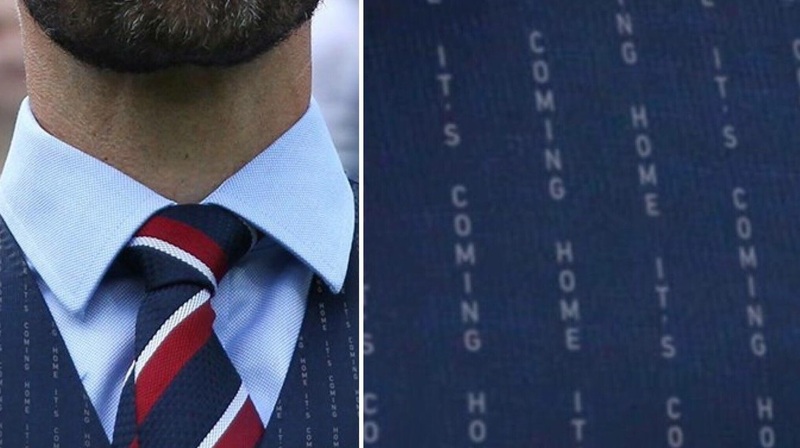 The photoshopped close-up revealed the words “it’s coming home”, a popular English world cup slogan taken from the song Three Lions. 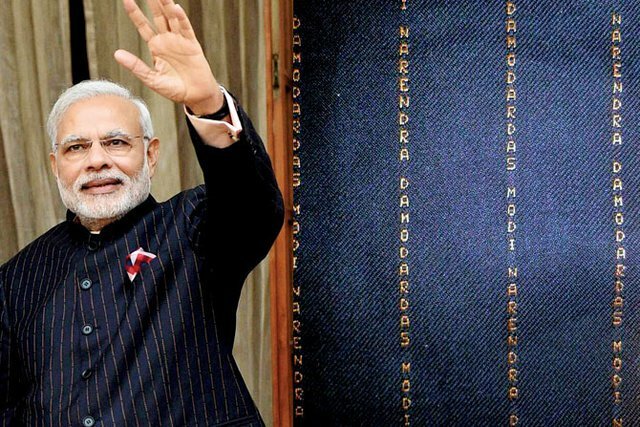 This subtle but expensive weave, were it real, would follow such fabrics worn by Indian Prime Minister Narendra Modi and the boxer Colin McGregor (below). Modi received fierce criticism when he met US President Barack Obama in 2015 because his suit subtly spelled out his name, which critics called “a case of crazed self-obsession”, and the “height of narcissistic behaviour”. The suit – which has been estimated to have originally cost $16,000 – was quickly auctioned off for $695,000. Siddharth Varadarajan, a senior fellow at the Center for Public Affairs and Critical Theory at Shiv Nadar University near New Delhi, said the sale of the suit was a failed apology. 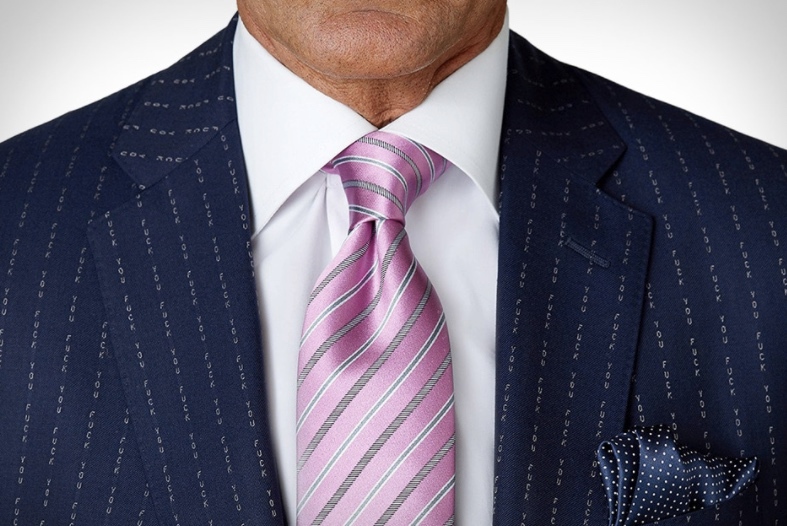 From high-end designers to politicians, hidden text in pinstripes can be both stylishly subversive and controversial. But with such fan favour for Southgate’s design maybe it won’t be long before an enterprising manufacturer weaves it into reality. That surely rests on how the England team endures the rest of the tournament.